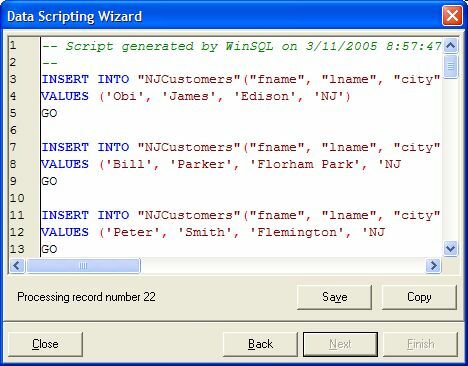 Create INSERT statements for your data. 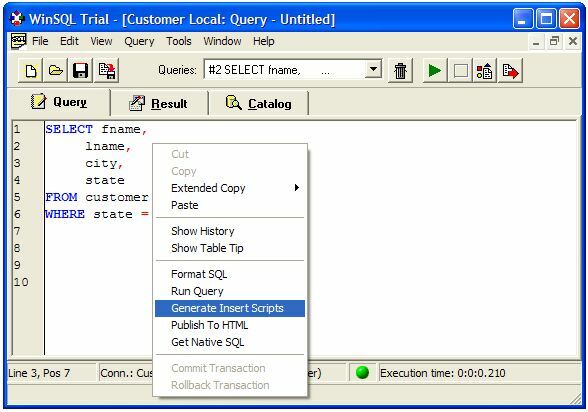 You can either export the contents of a table or any SQL Query. 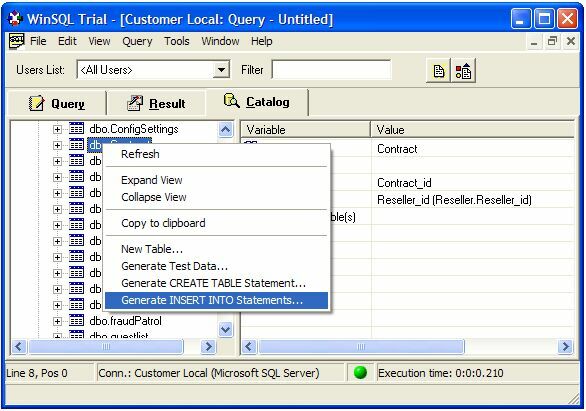 Select a SQL Query or a table from the catalog tab, click the right mouse button and select appropriate item from the pop-up menu. 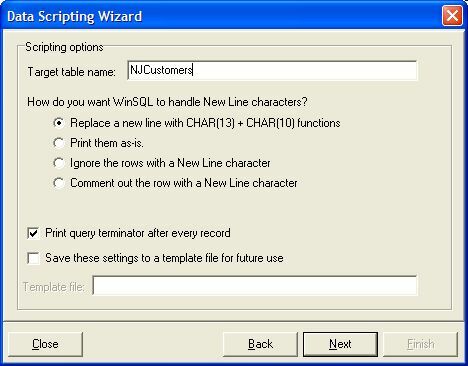 Click the finish button and watch WinSQL generate the INSERT statements.